12/29 – Interurban trail to Aurora Village transit center. here’s the map. 16 miles on the Rincon with Odette. 12/28 – Foothills Trail from Sumner to South Prairie and back. here’s the map. 30 miles on the tandem with Odette. 12/27 – Interurban trail to Aurora Village transit center. here’s the map. 16 miles on the Rincon with Odette. 12/26 – Fremont, Dexter & Alaska to West Seattle Loop. Hove via the Locks, the Burke Gilman, and Golden Gardens. Here’s a map. 40 miles on my Rodriguez. 12/22 – Interurban trail to Aurora Village transit center. here’s the map. 16 miles on my Fuji with Odette. 12/19 – North Seattle Loop (#2 in Thorness – Puget Sound). here’s the map – 16 miles on my Rodriguez with Odette. 12/15 – Interurban trail to Central Foods in Shoreline. here’s the map. 16 miles on the Ibis with Odette. 12/14 – Interurban Trail to Edmonds and home via Innis Arden (Wert – Bakeries #9.) Here’s a map. 26 miles on the Ibis with Odette. 12/13 – Interurban trail to Aurora Village transit center. here’s the map. 16 miles on my Fuji with Odette. 12/11 – Interurban trail to Aurora Village transit center. here’s the map. 16 miles on my Rodriguez. 12/10 – Interurban trail to Aurora Village transit center. here’s the map. 16 miles on my Rodriguez. 12/9 – Interurban trail to Aurora Village transit center. here’s the map. 16 miles on my Rodriguez. 12/2 – North Seattle Loop (#2 in Thorness – Puget Sound). here’s the map – 16 miles on the Ibis with Odette. 12/7 – Interurban trail to Aurora Village transit center. here’s the map. 16 miles on the Rincon with Odette. 12/6 – Interurban trail to Aurora Village transit center. here’s the map. 16 miles on the Ibis with Odette. 12/4 – North Seattle Loop (#2 in Thorness – Puget Sound). here’s the map – 16 miles on my Rodriguez. 12/2 – North Seattle Loop (#2 in Thorness – Puget Sound). here’s the map – 16 miles on my Rodriguez. 12/1 – Interurban trail to Aurora Village transit center. here’s the map. 16 miles on the Rincon with Odette. 11/30 – Fremont to Dexter to 2nd to Alaska Way to Spokane Street and the Duwamish Trail as far as Rock Weir. Airport Way S. to Dearborn and the I-90 tunnel. Home on Lake Washington, the Arboretum, the Burke Gilman, the Ave. and Ravenna (after a stop at the U District farmer’s market.) here’s the map. 36 miles on the tandem with Odette. 11/29 – Interurban trail to Aurora Village transit center. here’s the map. 16 miles on the Rincon with Odette. 11/29 – Fremont to Dexter to 2nd and Alaska, lower Spokane St. Bridge and West Seattle Loop. Back via the waterfront trails (Myrtle Edwards and Terminal 91) to the Ballard Locks, Burke Gilman and Golden Gardens, then back home on the reverse of the North Seattle Loop (#2 in Thorness – Puget Sound). Here’s the map. 40 miles on my Rodriguez. 11/27 – North Seattle Loop (#2 in Thorness – Puget Sound). here’s the map – 16 miles on my Rodriguez. 11/26 – Interurban trail to Aurora Village transit center. here’s the map. 16 miles on my Rodriguez. 11/25 – Interurban trail to Aurora Village transit center. here’s the map. 16 miles on my Rodriguez. 11/24 – Fremont to South Ship Canal trail and Myrtle Edwards park. Alaska Way to Spokane and 1st Ave. S to Dawson and Georgetown. Return via 4th Ave. and Dexter and the Fremont hill. here’s the map. 25 miles on the tandem with Odette. 11/23 – Lowell Park to Snohomish on Lowell River Rd. Old Snohomish-Monroe highway to Snohomish and Tualco Rd. and High Bridge back to Elliott and Connelly (#44 in Thorness – Puget Sound.) Broadway to Lowell-Larimer road and back to Everett. Here’s the map. 36 miles on the tandem with Odette. 11/20 – North Seattle Loop (#2 in Thorness – Puget Sound). here’s the map – 16 miles on my Rodriguez. 11/17 – North Seattle Loop (#2 in Thorness – Puget Sound) with the return on 50th. here’s the map – 14 miles on the Rincon with Odette. 11/15 – Interurban trail to Aurora Village transit center. here’s the map. 16 miles on my Rodriguez with Odette. 11/14 – North Seattle Loop (#2 in Thorness – Puget Sound). here’s the map – 16 miles on my Rodriguez. 11/12 – Interurban trail to Central Foods. here’s the map. 10 miles on the Rincon with Odette. 11/12 – Burke Gilman to Recycled Cycles. Here’s the map. 10 miles on the Rincon. 11/9 – Fremont to Dexter to 2nd to Dearborn to I-90 bridge and South Lake Washington Loop. Home on the Arboretum bypass to the Burke Gilman and Ravenna after a stop at the U District farmer’s market. Here’s the map. 43 miles on the tandem with Odette. 11/8 – Interurban trail to Aurora Village transit center. here’s the map. 16 miles on the Rincon with Odette. 11/5 – Interurban trail to Aurora Village transit center. here’s the map. 16 miles on Will’s bike. 11/1 – Interurban trail to Aurora Village transit center. here’s the map. 16 miles on my Rodriguez. 10/30 – Interurban trail to 125th, Lakeside route to 1st NE, 130th to 125th to 123rd and the Burke Gilman. Home via the Ravena short-cut. Here’s a map. 18 miles on my Rodriguez. 10/29 – North Seattle Loop (#2 in Thorness – Puget Sound). here’s the map – 16 miles on my Rodriguez. 10/28 – Interurban trail to Aurora Village transit center. here’s the map. 16 miles on my Rodriguez. 10/26 – 83rd to Ravena short-cut to University District farmer’s market. Here’s the map. 9 miles on the Rincon with Odette. 10/25 – Interurban trail to Aurora Village transit center. here’s the map. 16 miles on the Rincon with Odette. 10/24 – out and back on Fremont, Dexter and 1st Ave. to Heartland. here’s a map. 13 miles on the Rincon. 10/22 – Interurban trail to 125th, Lakeside route to 1st NE, Roosevelt to Ravena to Blakley and the Burke Gilman. Home up the Fremont hill. Here’s a map. 16 miles on my Rodriguez with Odette. 10/22 – Interurban trail to Aurora Village transit center. here’s the map. 16 miles on my Rodriguez. 10/21 – North Seattle Loop (#2 in Thorness – Puget Sound). here’s the map – 16 miles on my Rodriguez. 10/20 – Interurban trail to Aurora Village transit center. here’s the map. 16 miles on my Rincon. 10/19 – From Alex & Carrie’s, up Riverside to the Sammamish Waterway trail by Redhook. West Sammamish Parkway to the I-90 trail to Issaquah. Back via Newport Way to the I-90 trail and Lake Washington Loop to Juanita Bay in Kirkland, then up the 100th St. hill. here’s the map. 44 miles on the tandem with Odette and with Alex. 10/17 – North Seattle Loop (#2 in Thorness – Puget Sound). here’s the map – 16 miles on my Rodriguez. 10/16 – Interurban trail to Aurora Village transit center. here’s the map. 16 miles on my Rodriguez. 10/15 – North Seattle Loop (#2 in Thorness – Puget Sound). here’s the map – 16 miles on my Rodriguez. 10/14 – Interurban trail to Aurora Village transit center. here’s the map. 16 miles on my Rodriguez. 10/13 – Centennial Trail from Machias to Skagit County line and back. Here’s the map. 50 miles on the tandem with Odette. 10/12 – 83rd to Ravena short-cut to University District farmer’s market. Here’s the map. 9 mile on the fixie with Odette. 10/11 – Fremont to Dexter to 2nd to Dearborn to I-90 bridge and Mercer Island loop. Back arosss I-90 to Lake Washington Blvd and the Arboretum, then home on the Burke Gilman and Fremont. Here’s the map. 37 miles on my new Rodriguez. 10/10 – out and back on Fremont, Dexter and 1st Ave. to Heartland. 13 miles on the fixie. 10/8 – North Seattle Loop (#2 in Thorness – Puget Sound). here’s the map – 16 miles on Will’s bike. 10/7 – Interurban trail to Aurora Village transit center. here’s the map. 16 miles on Will’s bike. 10/6 – Centennial Trail to Machias, Tour de Cure route to Monroe, Old Snohomish-Monroe highway back to Snohomish. Here’s the map. 32 miles on the tandem with Odette. 10/5 – Lake Washington Loop from home. Here’s the map. 58 miles on the tandem with Odette. 10/4 – Interurban trail to Aurora Village transit center. here’s the map. 16 miles on the fixie with Odette. 10/4 – North Seattle Loop (#2 in Thorness – Puget Sound). here’s the map – 16 miles on my Rodriguez. 10/1 – Interurban trail to Aurora Village transit center. here’s the map. 16 miles on the fixie. 9/25 – North Seattle Loop (#2 in Thorness – Puget Sound). here’s the map – 16 miles on my new touring bike. 9/24 – Interurban trail to Aurora Village transit center. here’s the map. 16 miles on Will’s bike. 9/23 – North Seattle Loop (#2 in Thorness – Puget Sound). 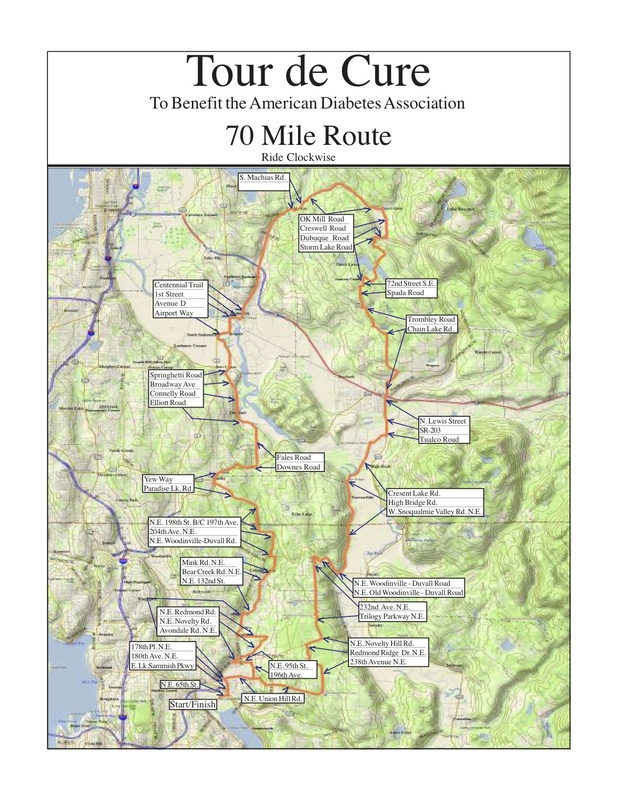 here’s the map – 16 miles on Will’s bike. 9/22 – Interurban trail to Aurora Village transit center. here’s the map. 16 miles on the fixie with Odette. 9/20 – Interurban trail to Aurora Village transit center. here’s the map. 16 miles on my new touring bike with Odette. 9/19 – Interurban trail to Aurora Village transit center. here’s the map. 16 miles on my new touring bike. 9/18 – North Seattle Loop (#2 in Thorness – Puget Sound). here’s the map – 16 miles on my new touring bike. 9/17 – Interurban trail to Aurora Village transit center. 16 miles on the Fuji. 9/15 – Konnowac Pass – day five of Walla Walla Wineries Ride – (started on #65 in McQuaide – 75 Classics.) here’s the map. 45 miles on the tandem with Odette. 9/12 – Waitsburg – day two of Walla Walla Wineries Ride – (#72 in McQuaide – 75 Classics.) here’s the map. 41 miles on the tandem with Odette. 9/10 – Fremont to Dexter to 2nd to Dearborn to I-90 bridge and Mercer Island loop. Back arosss I-90 to Lake Washington Blvd and the Arboretum, then home on the Burke Gilman and Fremont. Here’s the map. 37 miles on my new touring bike. 9/9 – Fremont to Dexter to 2nd to Western to the waterfront and Myrtle Edwards park / Interbay rail yard. Balard locks to Burke Gilman. Up the hill at Golden Gardens and home via 80th & 83rd. Here’s the map. 18 miles on my newly tuned touring bike. 9/8 – Interurban trail to Lake Forest Park connector to the Burke Gilman to Riverside (and Redhook) and the Sammamish Waterway. West Sammamish Parkway to the I-90 trail to Issaquah. Back via Newport Way to the I-90 trail and Lake Washington Loop to the Arboretum bypass to Burke Gilman and up the Fremont hill. here’s the map. 65 miles on the tandem with Odette. 9/7 – North Seattle Loop (#2 in Thorness – Puget Sound). here’s the map – 16 miles on the newly tuned tandem with Odette. 9/2 – Winthrop to Mazama and back. here’s the map. 28 mile on the tandem with Odette. 9/1 – Winthrop to Twisp to Loup Loup to Carleton and back to Winthrop. (beginning and end of #40 in McQuaide – 75 Classics.) here’s the map. 61 miles on the tandem with Odette. 8/31 – Chewuch River Rd. loop to Andrews Creek (#37 in McQuaide – 75 Classics.) here’s the map. 48 miles on the tandem with Odette. 8/28 – Interurban trail to Aurora Village transit center. 16 miles on my new touring bike. 8/27 – Interurban trail to I-5 crossing at Maple, Butternut to Filbert to Locust to 61st to Burke Gilman. Home via Lake Forest Park connector. 34 miles on my new touring bike. 8/26 – Fremont to Dexter to 2nd to Dearborn to I-90 bridge and Mercer Island loop. Back arosss I-90 to Lake Washington Blvd and the Arboretum, then home on the Burke Gilman and Fremont. Here’s the map. 37 miles on my new touring bike. 8/25 – Lowell-Larimer road from Lowell Park to Broadway; Connelly, Elliott and Highbridge to Tualco Rd. and Monroe. Old Snohomish-Monroe highway to Snohomish. Ebey Slough route (#43 in Thorness – Puget Sound), back to Everett. Here’s the map. 40 miles on the tandem with Odette. 8/24 – 83rd to Ravena short-cut to Lake Washington loop to Shattuck to 7th to Tukwila Station and the Interburban trail. Duwamish trail to West Seattle Bridge, East Marginal Way and Alaska way. Myrtle Edwards park to South Ship Canal trail and Fremont hill home. here’s the map 49 miles on the tandem with Odette. 8/23 – Interurban trail to Aurora Village transit center, here’s a map. 16 miles on my new touring bike. 8/22 – North Seattle Loop (#2 in Thorness – Puget Sound). here’s the map – 16 miles on my new touring bike. 8/21 – Freemont to Burke Gilman to Arboretum bypass to Lake Washington blvd to I-90 tunnel to Beacon Hill to First Ave. to waterfront and Myrtle Edwards park to Nickerson and home up the Fremont hill. here’s the map. 24 miles on my new touring bike. 8/20 – North Seattle Loop (#2 in Thorness – Puget Sound). here’s the map – 16 miles on my new touring bike. 8/19 – Interurban trail to I-5 crossing at Maple, Butternut to Filbert to Locust to 61st to Burke Gilman. Home via Lake Forest Park connector. here’s a map. 34 miles on my new touring bike. 8/17 – home to Port Townsend via Mukilteo and Coupeville. Part of the Whidby Island route was from #32 in Thorness – Puget Sound. Here’s the map. 62 miles on the tandem with Odette. 8/14 – Interurban trail to Everett and on to Mukilteo pretty much on the #41 ride in Thorness – Puget Sound. Back to trail via Mukilteo Speedway, 148th and Alderwood Mall Blvd. Here’s the map. 58 miles on my new touring bike. 8/13 – Fremont to Dexter to 2nd to Dearborn to I-90 bridge and Mercer Island loop. Back arosss I-90 to Lake Washington Blvd and the Arboretum, then home on the Burke Gilman and Fremont. Here’s the map. 37 miles on my new touring bike. 8/11 – Interurban trail to Lake Forest Park connector to the Burke Gilman to Riverside and lunch at Redhook. Back the same way, starting on the Sammamish Waterway trail. Here’s the map. 40 miles on the tandem with Odette. 8/10 – North lake Washington Loop from home. Here’s the map. 45 miles on the tandem with Odette. 8/9 – Interurban trail to Aurora Village transit center, here’s a map. 16 miles on my new touring bike. 8/8 – Fremont, Dexter & Alaska to West Seattle Loop. Here’s a map. 34 miles on my new touring bike. 8/8 – North Seattle Loop (#2 in Thorness – Puget Sound). here’s the map – 16 miles on my new touring bike. 8/7 – Interurban trail to 193rd, Lake Forest Park connector to Burke Gilman. 61st to Locust to Filbert to Butternut to I-5 crossing at Maple. Home via Interurban. here’s a map. 34 miles on my new touring bike. 8/6 – Fremont to Dexter to 2nd to Dearborn to I-90 bridge and Mercer Island loop. Back arosss I-90 to Lake Washington Blvd and the Arboretum, then home on the Burke Gilman and Fremont. Here’s the map. 37 miles on my new touring bike. 8/5 – Interurban trail to Aurora Village transit center, here’s a map. 16 miles on my new touring bike. 8/4 – Fremont to Dexter to 2nd to Alaska Way to Spokane Street and the Duwamish Trail as far as Tukwila Station and the Lake Washington connector. Home via Lake Washington Loop to Arboretum bypass to Burke Gilman and up the Fremont hill. here’s the map. 46 miles on the tandem with Odette. 8/3 – Lopez Island with the Evergreen Tandem club. Pretty much like #35 in Thorness – Puget Sound (but counterclockwise.) Here’s the map. 34 miles on the tandem with Odette. 8/2 – Interurban trail to I-5 crossing at Maple, Butternut to Filbert to Locust to 61st to Burke Gilman. Home via Lake Forest Park connector. here’s a map. 34 miles on my new touring bike. 8/1 – North Seattle Loop (#2 in Thorness – Puget Sound). here’s the map – 15 miles on my new touring bike. 7/31 – Fremont to Dexter to 2nd to Dearborn to I-90 bridge and Mercer Island loop. Back arosss I-90 to Lake Washington Blvd and the Arboretum, then home on the Burke Gilman and Fremont. Here’s the map. 37 miles on my new touring bike. 7/30 – out and back on Fremont, Dexter and 1st Ave. to the Pyramid brewery. here’s the map. 14 miles on my new touring bike. 7/29 – Interurban trail to I-5 crossing at Maple, Butternut to Filbert to Locust to 61st to Burke Gilman. Home via Lake Forest Park connector. 34 miles on my new touring bike. 7/28 – Chehalis – Western trail out and back from Woodard bay to Tenino. (#49 and 50 in Thorness – Puget Sound) Here’s the map. 57 miles on the tandem with Odette. 7/25 – Lake Washington Loop from logboom park. Here’s the map. 49 miles on my new touring bike. 7/20 – Everett to Snohomish via Ebey Slough (#43 in Thorness – Puget Sound), Old Snohomish-Monroe highway to Monroe, Tualco & Highbridge to Broadway, Lowell-Larimer road back to start at Lowell Park . Here’s the map. 40 miles on the tandem with Odette. 7/14 – Landsburg – Enumclaw loop (#8 in Woods – Puget Sound). here’s the map. Remember that the book has a typo at mile 46 where it says 252nd when you really want 253rd. 47 miles with Odette on the tandem. 7/13 – Fremont to Dexter to 2nd to Alaska Way Spokane Street and the Duwamish Trail as far as Foster Links and then Railroad to Airport Way S. to Dearborn to I-90 tunnel; home via Lake Washington Loop to Arboretum bypass to Burke Gilman and up the Fremont hill. here’s the map. 41 miles on the tandem with Odette (and with Alex). 7/7 – Vashon Island Loop (The base option in Woods puget sound #20) from home. here’s the map. 62 miles with Odette on the tandem. 6/22 & 23 – Redmond Cycling Club Mazama Ride – Marblemount to Mazama & back over Washington Pass. Here’s a map (of the ride back.) 150 miles on the tandem with Odette. 6/8 – Flying Wheels. Redmond to Carnation to Duval to Snohomish to Monroe to Carnation to Fall City to Issaquah to Redmond. here’s the queue sheet. here’s the map. 98 miles on the newly tuned tandem with Odette. 6/2 – Interurban trail to Lake Forest Park connector to the Burke Gilman to Riverside (and Redhook) and the Sammamish Waterway. West Sammamish Parkway to the I-90 trail to Issaquah. Back via Newport Way to the I-90 trail and Lake Washington Loop to the Arboretum bypass to Burke Gilman and up the Fremont hill. here’s the map. 65 miles on my new touring bike with Odette. 6/1 – Foothills Trail from Sumner to South Prairie and back. here’s the map. 30 miles on my new touring bike with Odette. 5/27 – Interurban Trail to Edmonds and home via Innis Arden (Wert – Bakeries #9.) Here’s a map. 26 miles on touring bikes with Odette. 5/26 – Freemont to Dexter and 2nd Ave through downtown. East marginal Way to Spokane St and lower bridge. West Seattle Loop to Highland Park Drive. First Avenue South Bridge to Lucile and Airport way. Dearborn to I-90 tunnel and Lake Washington Loop to Arboretum bypass to Burke Gilman. Home up the Fremont hill. Here’s the map. 41 miles with Odette on the tandem. 5/19 – Centennial Trail from Arlington to Skagit County line and SR 534 to La Conner. Back via Stanwood and Sylvana. See McQuaide 75 Classics #10. Here is the map. 63 miles on the tandem with Odette. 5/5 – Fremont to Dexter to Dearborn to I-90 bridge and Mercer Island loop to South Lake Washington Loop. Back across I-90 and home via 4th Ave., Dexter and Fremont. Here’s the map. 56 miles on the tandem with Odette. 4/28 – West Seattle Farmers Market from home. here’s a map. 23 miles on the tandem with Odette. 4/14 – Duwamish Trail to Ft. Dent; Interurban to Willis Rd, back on the Green River Trail and then on the east side of the Duwamish to Airport Way South and the First Ave. South bridge. here’s a map. 42 miles with Odette on the tandem. 3/30 – From Alex & Carrie’s, 145th to Juanita Way and down 112th to Riverside and the RSVP route to Woodinville-Duval, Yew, Bostian and Fales. Elliott and Connelly to Broadway and Springhetti and on into Snohomish. Return to UW Bothell via the Cathcart route (pretty close to the alternative shown in Woods Northwest #89) and then Riverside to Waynita and 145th. here’s the map. 40 miles on the tandem with Odette and Alex. 3/29 – 57th to Green Lake t0 Ravenna connector and Burke Gilman. Arboretum bypass to Lake Washington Blvd to I-90 bridge and Mercer Island loop. Back across the bridge and through the I-90 tunnel to Dearborn and Alaska Way / waterfront trail to the Ship Canal Trail and back home up the Freemont hill. Here’s the map. 41 miles with Odette on the tandem. 3/17 – Fremont to South Ship Canal trail and Myrtle Edwards park. Alaska Way to 1st Ave. S to Dawson and Lucile and Georgetown. Return via 4th Ave. and Dexter and the Fremont hill. here’s the map. 24 miles on the tandem with Odette. 3/9 – Skagit Loop. (Thorness – Puget Sound #40.) Here’s a map. 36 miles with Odette on the tandem. 2/17 – North Seattle Loop (#2 in Thorness – Puget Sound). here’s the map – 15 miles on the tandem with Odette. 1/20 – North Seattle Loop (#2 in Thorness – Puget Sound). here’s the map – 15 miles on the tandem with Odette.